Each day insulation saves energy in homes and businesses throughout the country. Fiberglass insulation makes an even bigger positive environmental impact. 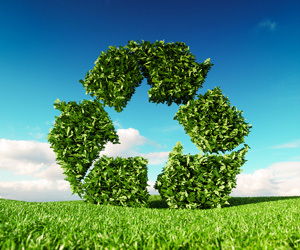 According the North American Insulation Manufacturers Association (NAIMA) and its member companies, U.S. and Canadian fiberglass insulation manufacturers used 3.2 billion pounds of recycled materials in the production of its insulation products in 2017. In fact, since the industry’s recycling program began in 1992, NAIMA members have kept an estimated 58.2 billion pounds of recycled materials from local waste facilities. To learn more about recycling efforts of NAIMA members, visit this link.